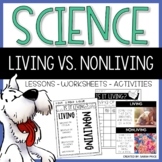 This is a mini booklet that can be used when teaching living vs. nonliving things. 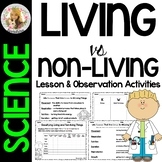 The students will write about the characteristics of a living and nonliving thing. 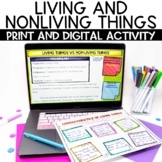 They will also draw several examples of living and nonliving things. 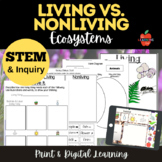 This powerpoint presentation uses real world pictures and questions to describe the characteristics of living and nonliving organisms. 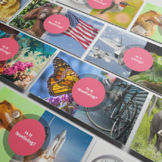 It encourages discussion about what makes something alive and at what point is something no longer living. 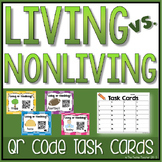 Students classify pictures based on their status of living or nonliving by cutting and pasting. An Answer key is included!